← Why fill the tumbrels with middlemen? What is most useful in the greater scheme of things is that Alexandria Ocasio-Cortez is more proof than anyone could wish to have how mad they are, but also that they have an agenda. But just because you and I think they’re mad doesn’t mean they won’t get their way on much of what they seek. There are plenty out there just like them. Green Socialism is the farthest extreme of mass poverty creation ever devised, but as Maduro in Venezuela makes all too evident, just because they have wrecked the place does not mean you can change course once they take political power into their own hands. The rest is from Drudge this morning. AND HERE IS THAT AGENDA: Taken down almost immediately, probably on orders from Democrat Central Command, but you know the aims and intent still lurk in the hearts of evil doers everywhere. Here it is on Scribd. If there is any lingering doubt how insane they are just read it for yourself. And what is almost as pathetic as the policies is the desire to be seen as first to come up with the plan. Via Scott Johnson at Powerline: MS. Found in a Memory Hole. This entry was posted in American politics, Global warming and climate change policy, Socialism. Bookmark the permalink. The policy has now been removed from their website. Yet at our next general election we get to choose between Green Socialism and Green Socialism Lite, with both major parties intent on enriching a rent seeking elite whilst impoverishing everyone else’s prospects. Australia, your luck has run out. It’s really incredible how much AOC looks like Jar Jar Binks. Who is grooming AOC? Who is training her? Her deluge of “impromptu” platitudes sound like there’s been a lot of scripting and rehearsal going on. And…… AOC yanks her ‘Green New Deal’ plan off of her webpage. Something tells me Pelosi finally grabbed her by the stacking swivel and read her the riot act. It’s a frightening place when Pelosi is the one providing adult leadership. Why has occassional cortex no tears for dying Venezuelan children? Clearly her brain is broken. The Green New Deal is a mission statement. It still needs Pelosi’s support. The committed Socialist has a tortuous casuistry that makes the Jesuits look like moral exemplars. The thing is, if you truly believe that climate change is an impending catastrophe, then you have to believe that we MUST do these things. There is no middle way; renewable energy targets are just a pretend Band Aid. Years ago George Monbiot said that if you wanted to do something serious about global warming, then Western countries would need to cut emissions by 110%. The extra 10% was top make up for other countries’ cheating. He was actually right, IF catastrophic climate change theory is correct. I much prefer being a sceptic. She wants to end flying? That’ll go down real well with the Left. The Left seems to have a fetish for flying to exotic places. As long as someone else pays for it. Who is grooming AOC? Who is training her? I reckon the same people who brought us The Obumbaclot. She has definitely received A LOT of training and direction over a long period of time. You don’t just land on the political scene like she has, or the Kenyan did, without significant “work”. She wants to end flying? That’ll go down real well with the Left. And they’ll continue to do so, the emissions being offset by the sacrifices of the plebs. It’s a tough gig, saving the planet, but somebody has to do it. 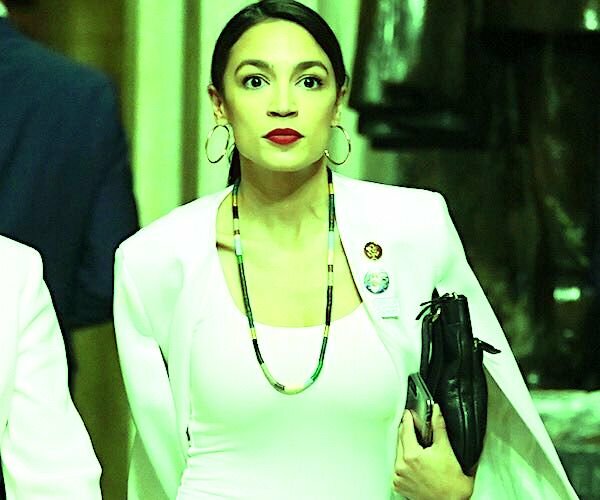 That picture above of AOC reminds me of the green lady in Lost in Space..remember the episodes..she was the lady from the “green dimension” who hypnotises Dr Smith. In fact when I think of it…there is no difference. Both are toxic hypnotists who prey on the stupid, the ignorant and the naive. There would be no point in working at a job in this type of economy as anything earned would need to be taken to cover all the proposals in their agenda. Much better to organise yourself to live off the grid in some remote place and stockpile well ahead of any of this happening. The USA, should these proposals actually get up, would simply degenerate into a fractured society where no-one contributes and those with the least would roam around seeking to take what little anyone else had. And it would all almost seem legitimate as all responsibility will be lifted from the individual and handed to the state. Anarchy by stealth. I’ve said here already that if runaway anthropogenic warming of the planet was serious as a threat readily apparent and totally agreed upon by a genuine science, by world-wide emergency edict we’d have immediate world-wide nuclear energy, an end to flight tourism, a ban on all private transport and a Depression mentality about living on the smell of an oily rag that would make my mother’s inherited one seem like a profligate life-style. The aim would be to push us into the Third World and not do a single thing to drag the Third World further up to us. But like most apocalyptic scenarios, such runaway warming is not at all upon us; in fact, a lack of sunspots makes a natural cooling something more well worth worrying about. So keep the coal fires burning. If we are going to go apocalyptic, we may really need coal and nuclear base-load power to warm our homes and our massive food-producing plastic-covered greenhouses. Look at what we’ve got instead. As the so-called anthropogenic CO2 ‘science’ and its ‘consensus’ falls apart under the weight of empirical happenstance and better theorizing, there is a retreat from the initial panic and hyperbole. Increasingly, among the more clear-sighted, as ‘false alarms’ about being Gored are starting to ring throughout the cognoscenti, we have a media-manipulated Green Socialist redistributive system in place, with popular approval, concerning something weirdly termed ‘carbon’, where we give our industrial bounty to the Third World and they go right ahead in a catch up to us with as much coal as they can consume; before we plummet into the abyss of industrial failure and chaos until socialism is once again revealed as a false god and banished from our lands. It may take some time, for this cancer kills and is hard to eradicate. .. being Gored with false alarms, that is. Somebody else has to do it, not the elite. The USA, should these proposals actually get up, would simply degenerate into a fractured society where no-one contributes and those with the least would roam around seeking to take what little anyone else had. Yep, welcome to the USA Danelaw. Certainly the early Viking part of it was just like this. If you have money on Trump 2020, this is great news. The USA, should these proposals actually get up, would simply break into a nation comprising the “flyover” counties, with an archipelago of “progressive” urban areas fenced off from it by force of arms. AOC has tears for late term aborted babies. Tears of joy. Cortez is just your little media darling. She won’t last five seconds under pressure. A complete dickhead of a girl. She should be on her back somewhere being useful to the world, receiving what she’s trying to do to the west. The scumfilth Left now believes they don’t have to follow their own rules anymore. 7. Authors must be Australian citizens or permanent residents of Australia. So who got the $100K? Behrouz Boochani from downtown Manus Island. No a resident, not a citizen, just a regular asylum seeker who no doubt got trained in the game. Just shut it down……….all of it. If you fill a continent with AOC’s, what you get is South America. A precedent to prevent any new coal mines (at least in NSW). No doubt the Green activists will try and have the same logoc applies to all existing mines. We have to have … respect for the right of human mobility,” Ocasio-Cortez told a press conference on Capitol Hill. There will be no prosperity, only the sharing of an ever shrinking, failing economy. She was a wonder at the bar where she worked. People would pop in for a few minutes for a quick drink on their way somewhere else. Then she would talk to them for a few minutes. They would still be there 6 hrs later trying resolutely to drink themselves to death. What frightens me is that the 10 year plan she espouses reminds me of Mao’s 5 year plans, Cultural Revolution and Pol Pot’s Year 0. This person is a very dangerous individual. Yes, I’m sure the non-green, socialists of the conservative movement will have all the answers on this one! Wait…wasn’t it the conservatives that built the environmental bureaucracies all over the Western World? Hmmm, seems the only distinction between posters here and Cortez, is that she isn’t completely confused about absolutely everything. AOC and SHY who wins the stupid stakes? A nice description of what is happening right now in Venezuela. You are stuck on an island with AOC , SHY and an apple pie…. who would you bonk first? As with compulsory-preferential voting, the real issue becomes less about who (what) is first and more about who (what?) is last. So, in honour of the upcoming Federal Election, which one do you want to be forced to bonk (what’s the word for that?) last. Whilst stuck in backed-up traffic today, I had the dubious pleasure of listening to “The Money” on their ABC RN. “Black Saturday” retrospective. The term “Climate Change” was bandied about with monotonous regularity: a religious mantra, it seems. Not a sausage about the total change of fire management since Europeans stopped the locals fire-stick hunting. No mention of the ratbag “tree-change” types bunging up fire-trap houses in densely wooded areas. No mention of the spectacular flammability of Eucalyptus and Acacia species. Ration books. Smart meters. Electronic money. At 6pm on The Drum Ellen Fanning will bring us ‘Climate Change’ as the main segment this evening. Surely men in white coats are about to cart this child off. Someone should ask her what she wants to be when she grows up. Right on time we have the ABC rubbishing Trump’s description of all this as Socialism and suggesting all her policies are very mild, indeed all implemented here! Q. Are you prepared to put on the table that, actually, they’re right? What this requires is massive government intervention? I have no problem saying that. AOC:Uh, uh, I think one way that the right does try to mis-characterise what we’re doing as though it’s like some kind of massive government take over. There isn’t even a pretence of believing in impending catastrophe, not natural anyway. The mission statement categorically excludes nuclear – the main, zero emission, alternative to fossil fuels. It’s social revolution all the way. Neither. I’d just eat the apple pie, slowly, when they were hungry. All righty then, I’ve got Socialism finally figured out. South of the equator only bus drivers know how to run a nationalized economy with popular dumpster diets and North of the equator, only bug-eyed barmaids know how to run a nationalized economy with free dumpster diets for encouragement. Of course, State sponsored kidnapping, torcher and murder for all non-bus drivers and/or non-bug-eyed barmaids notwithstanding, it looks like a goer. Occupy Wall St now occupies Congress, now they get to piss in everyone’s pocket, not just their own. Green is the colour of envy. Get ready for the envy new deal. Forward comrades side by side ,back to back ,we will march forward into the 1920s with our beloved leaders protcting our rear . Oh !wait aminute ,its nearly the 2020s . Politics ,repeating the mistakes of the past . It didnt work for Hitlers German socialists ,it didnt work for Stalins socialists ,etc etc etc ,and niw its not working for Chavez socialists ,and it wont work for the Greenocrat socialists . That must make her the US Democrat equivalent of Marvin the Paranoid Android, except for the size of her brain. There’s about 200 million buildings in America. Everyone has to be rebuilt or refurbished. That means they have to do 20 mil a year or almost 60,000 per day, every day, no days off, in a society where people unwilling to work get a guaranteed income. I reckon there might be some project schedule slippage on 5at one. Reason magazine crunches some numbers, to generate enough electricity for the US economy using only wind and solar would take up enough land to cover all of California and Texas. Anyone who believes this stuff is certifiably stupid. HT to Dan Bongino podcast who has a lot of fun tearing this garbage apart. And Cory Booker and AOC are right. The Green New Deal is like tackling Nazism, the New Deal or the Moonshot. Stopping this madness and insanity is going to take that level of effort to stop. “Sandy” AOC released her ‘Green New Deal’ plan, which was totally ludicrous. It’s childish. An editor for the Federalist just called AOC’s Green New Deal “immature” and “it looked like something a high schooler” would write. He also added it would cost a “bazillion dollars”. Well Trump did his bit and stopped Pelosi flying. 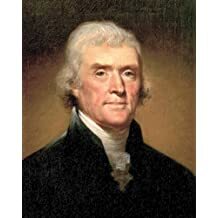 History is littered with examples of politicians withdrawing citizens’ rights to free expression because they did not like what they had been saying about them at a particular moment in history. Scratch the surface of this proposal and you will find a harsh new regime which stands to damage Australia’s reputation as a democracy and might well come back to bite the politicians, academics and publishers who are supporting it today.